Digital is much more than just 'mobile app' deployed on smartphones. Sameer Arora gives a detailed insight on digital information. Digital is probably the most popular business term in 2014. Analysts and business executives often tend to use 'digital' synonymously with 'mobile apps' deployed on smartphones. But that's not all. There is a lot more to this transformation than what meets the eye. Is an organisation digital just because it has a cool mobile app? A customer connecting with the company through a mobile app is the most visible symbol of a 'Digital Organisation', but the app is only the tip of the proverbial iceberg. A truly digital organisation starts with a digital mindset, which gets reflected in every aspect of their business processes, technology and culture. Apart from mobility; cloud computing, social media, Internet of Things and analytics are also frequently associated with digital transformation. Most of these technologies have been around for several years. So, what has changed to make them digital? And more importantly how can digital transformation impact revenue and profit growth for companies across different industries? 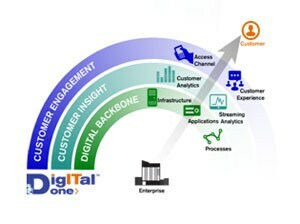 The easiest way to think about digital transformation is to start with the "Customer". The touch points between the organisation and the customer have evolved significantly over the past few years. Traditional customer channels included brick-and-mortar outlets (e.g. retail store, bank branch), call centres and websites. Organisations have now adopted new technologies to add new customer touch points through mobile apps, social media (Facebook pages, Twitter handles) wearable devices and smart watches. However, imagine a bank with a really cool mobile app but a cumbersome website; long hold time at the call centre and rude, unfriendly staff in the local branch. The proliferation of new channels makes it critical for organisations to ensure a consistent experience across all these channels and use new-form factors such as touchscreens and integrated video to deliver a rich and engaging, hassle-free user experience. Organisations need to take a holistic approach to reconfigure their customer touch points to deliver a superior customer experience. A truly engaging experience is one which caters to the likes, choices and preferences of the individual customer. As an example, Amazon provides real-time product recommendations based on the customer's browsing history and buying behaviour of other customers who bought a particular product. This makes it easier for the customer to navigate through millions of products in the catalogue and also enables the company to cross-sell and upsell other products. This highly personalized experience is powered by customer analytics, which delivers relevant, real-time and actionable information. The first step is to develop a single unified view of their customers across the organisation, especially for companies with multiple lines of business. The customer view can then be extended 360 degrees beyond the four walls of the organisation to include their web browsing and social media behaviour. Most organisations have access to gold mines of customer information, but only if they are able to harness and analyse the data intelligently. Big Data Analytical models can process huge volumes of data to derive meaningful insights about customer likes, preferences, sentiment and predict behaviours like inclination to purchase and potential churn. Smartphone capabilities like GPS location tracking add a real-time dimension to personalization. For example, real-time information about a customer's current location can enable a restaurant chain to push a customised meal offer voucher at the nearest outlet on his / her smartphone. A financial services institution cannot deliver instant global funds transfer to its customers, if its backend transaction system operates in overnight batch processing mode. All the elements of an organisation's technology architecture need to be aligned to provide a truly digital experience to its customers - a real time, analytics driven, rich user experience delivered any time, any place and on any device. Business processes need to be enabled through workflows based on automated decision rules without manual intervention. Disparate transaction processing applications need to be integrated and connected to mobile solutions using application programming interfaces (APIs). A cloud-based technology infrastructure enables secure and scalable anytime, anyplace, any device access to applications and systems. Modernizing the digital backbone including business processes, technology applications and infrastructure can sometimes be the most difficult part of digital transformation. Digital transformation is not a project. It is a journey. Digital maturity assessment that provides a current status check is usually a good starting point to determine the direction and milestone of the digital transformation journey. The journey should always begin with an understanding of your customer - both current and future. Maintain focus on delivering tangible value to the business - through better customer engagement, experience and insight - and not on the next cool app feature. 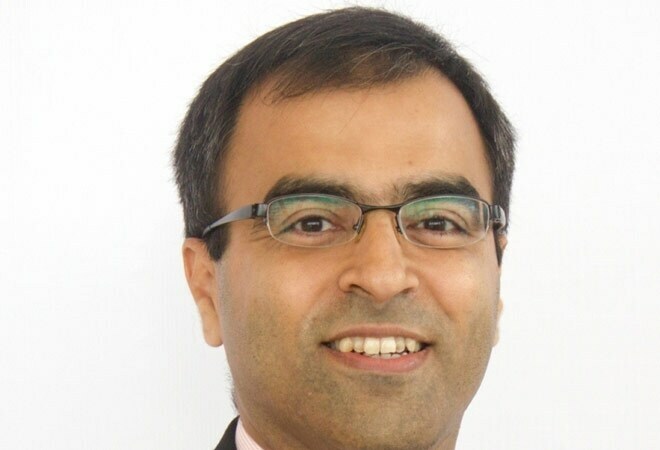 Sameer Arora is the vice president and head - Digital One, Syntel, Inc.